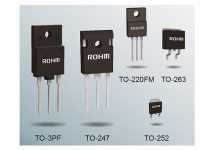 Expanding the industry’s most comprehensive portfolio of USB-compliant integrated circuits (ICs), Texas Instruments (TI), on October 25, 2016, introduced five new USB Type-C and Power Delivery (PD) devices that enable engineers to design USB Type-C electronics with better signal quality and protection against system damage. The TUSB1046 family of linear redrivers is the industry’s first to support 10G USB data and DisplayPort™ 1.4 video transfer, enabling faster transmission without signal integrity degradation. To prevent hard field failure, the TPD8S300 family includes the industry’s first single-chip solution to protect USB Type-C and PD systems from overvoltage damage. Additionally, the new TPS65983B USB PD 3.0 controller enables a complete system design and more reliable power and data transfer with integrated power path, fast role swap hardware, authentication support and standardized voltages. For more information, see www.ti.com/usbtypecpd2016-pr. The new TUSB1046 and TUSB1002 redrivers support twice the data bandwidth of current 5G USB solutions, enabling 10G data and video transfer with up to 8K resolution, while consuming only 335 mW of active power at 10G USB speeds. The redrivers compensate channel loss up to 14.4 dB when transmitted over long traces and cables. 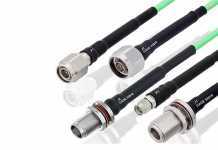 Additionally, 16 equalization levels optimize performance by compensating intersymbol interference jitter and signal attenuation, enabling better interoperability and connectivity with other devices. TI’s 10G linear redriver family is pin-to-pin compatible with TI’s family of 5G USB devices, enabling seamless speed upgrades in existing designs. 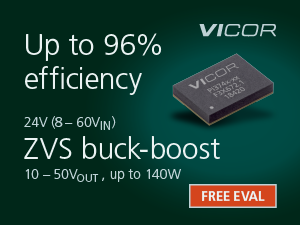 Using up to 75 percent less board space than a discrete implementation, the TPD8S300 and TPD6S300 devices protect against overvoltage damage caused by a DC short to the 20-V bus voltage (Vbus) on the configuration channel (CC) and sideband use (SBU) pins, while maintaining signal integrity. The port protectors integrate transient voltage suppression (TVS) diodes with low-clamping performance to provide International Electrotechnical Commission (IEC) 61000-4-2 electrostatic discharge protection (ESD) and protect the downstream PD controller. The TPS65983B single-chip device is the only USB PD 3.0 controller that fully integrates the power path, while providing overcurrent, overvoltage, reverse current and thermal protection. The controller features fast role swap for sink or source implementations to give designers maximum flexibility. These devices comply with the new USB Type-C, USB 3.1 Gen 2 and PD 3.0 standards, increasing reliability over previous specifications and enabling slim design, robust power delivery, and the use of universal connectors and cables. Additionally, these power, signal-chain and circuit-protection devices allow USB Type-C and PD systems to function seamlessly together, giving designers peace of mind. TI’s new USB Type-C and PD devices are available with package and pricing as listed in the table below. 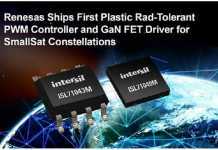 The TUSB1002, TUSB1046 and TPS65983B devices are available in production quantities from the TI store and authorized distributors. Prototype samples are available for the TPD8S300 and TPD6S300 protection devices through TI.com and authorized distributors. 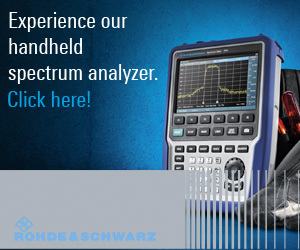 Additionally, evaluation modules (EVMs) are available to help engineers quickly and easily evaluate performance and speed time to market. Read blog posts about the need for USB Type-C linear redrivers, how to protect your USB Type-C connector and USB PD 3.0 fast role swap switching considerations. Search for solutions and engage with fellow engineers and TI experts in the TI E2E™ Community USB forum.